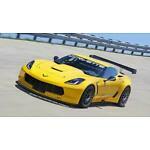 CorvetteHangout your Corvette & Chevy parts store. We specialize in Classic Vintage Restoration parts. engines, suspensions, wiring harness, interior, exterior, wheels & Best Weatherstripping in the Market! New Used & Discontinued Corvette C2, C3, C4, C5 & Chevrolet Hard to find rare NOS!